Debate: Could Coastal and Maritime Tourism be environmentally Sustainable? Juan Luis Suárez Vivero: Officer of the Merchant Navy. Professor Emeritus of the University of Seville (Department of Human Geography). His research activity has focused on the geographical consequences of the United Nations Convention on the Law of the Sea, maritime policy, coastal planning and marine spatial planning. Principal investigator in projects of the National Plan of I+D and European projects and consultant in national and international organisms. Coordinator of the Erasmus Mundus Master in Marine Spatial Planning. 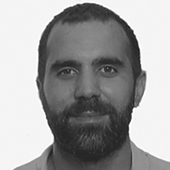 Luís Campos: researcher, ENT Foundation. 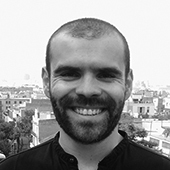 Luís Campos Rodrigues (PhD in Environmental Science and Technology by ICTA-UAB) joined ENT Environment & Management, and ENT Foundation (Barcelona) in 2015 as an Environmental Consultant and Researcher. Main working areas include the assessment of the socio-economic effects and adaptation strategies associated with climate change and other environmental pressures, municipal waste management policies, and environmental policy analysis. In the past, he worked in the Centre for Transdisciplinary Development Studies (CETRAD) (Vila Real, Portugal), and in the Institute of Environmental Science and Technology (ICTA) (Barcelona), where he has participated in various national and European Union projects. 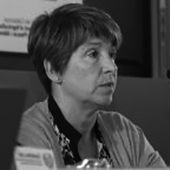 Rosario Allué: General Subdirector of Maritime Policy, Control and Training. Rosario carries out the development of the Maritime Politics of Catalonia by means of the implementation of the Maritime Strategy of Catalonia 2030 approved by Agreement of Catalonia Government. The agreement emphazises in the development of blue economy strategies in Catalonia and aims to guarantee the conservation of the resources and the maritime ecosystems. 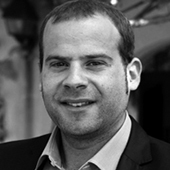 Miquel Mir Gual: General Director of Natural Spaces and Biodiversity of the Government of the Balearic Islands. In 2009 began his researcher path centered mainly in geomorphology, littoral management and conservation of natural spaces. He specialized in the state of conservation of the islander littoral systems. 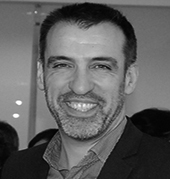 Miquel has published several papers, articles and book chapters at national and international level. He participated in numerous projects of research and contributed to national and international congresses and scientific meetings. Since 2015 he has been an associated teacher of the University of the Balearic Islands, teaching Management and Planning of Natural Spaces. He also teaches at Edge Hill University (UK) and has done a various number of talks and conferences focused in his specialization. Niccolò Bassan: Architect, M.Sc. Maritime Spatial Planning. 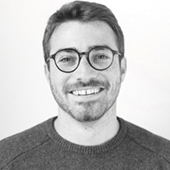 From 2017 he is a research and teaching assistant at the University Iuav of Venice at the Department of Design and Planning in Complex Environment. Research Title: “Planning and Design for Seascapes: tools and techniques of planning to support the European directive on Maritime Spatial Planning (MSP) in the Mediterranean”. He is currently participating to various European Projects (among which SUPREME and SIMWESTMED) focused on the themes of MSP, Land-Sea Interactions and Ocean Governance. Josep Rodríguez works as Responsible for International Relations in the Tourism Department of Barcelona Provincial Council (Diputació de Barcelona). He has degrees in Agriculture Engineering and Humanities. His main field of expertise is the involvement of local authorities within the framework of Structural funds programmes both national Operational programmes and European Territorial Cooperation with an specific focus on tourism projects. Barcelona Provincial Council is one of the partners of the Interreg MED project BleuTourMED which has the aim of generating a Sustainable Tourism Community in the Mediterranean involving the 17 projects funded this European programme. 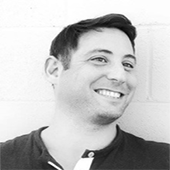 Jeremy Sampson: Jeremy is a communications specialist with experience managing large-scale international cooperation and European projects. 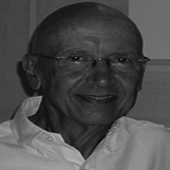 His area of expertise is sustainable tourism development including destination management, standards, product development, and marketing, and he has worked in more than 30 destinations around the world. Jeremy currently works with IUCN Centre for Mediterranean Cooperation, where he is communications lead and technical project manager for DestiMED project, focused on the development, management, and promotion of protected area ecotourism products that directly benefit conservation. 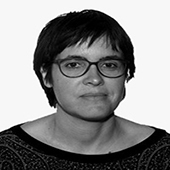 Miquela Grimalt: Lawyer-consultant specialized in environmental law, with a long experience in public administration and in waste and water resources management, as well as in governance. She focuses her professional activity on advising on compliance of environmental legislation, the drafting of new legal texts and their application and, in general, on the design and development of public or private policies and strategies to protect the environment.